The volume relates the Capabilities Approach to research and practice in education, welfare economics and social policy. Thus it challenges traditional objectives and approaches in these fields. The authors suggest a capabilities perspective that calls into question the metric of success of these disciplines and in the fields of politics. It moves the attention away from economic growth and human capital towards autonomy and “agency freedom” of (young) individuals. Especially with respect to the young this implies a substantial shift of perspectives. Young persons have been particularly highlighted in the political debate: on the one hand side they are one of the groups with the highest risk to face situations of poverty on the other hand side young persons are the main focus group of educational strategies in the form of investments in human capital which dominate the discourse. In this context the capability perspective implies a provoking shift of paradigms because it takes place against the background of capitalist societies redefining their notion of “the public” and diminishing the collective responsibility for the vulnerable. The volume also assesses the academic implications of the capabilities approach and the evaluative frame it provides for assessing policies and rationales in economics, education, and social policy. 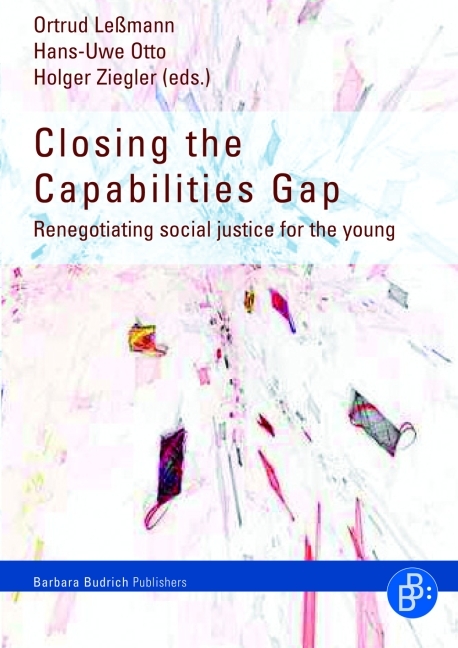 The volume discusses whether and in how far the capabilities perspective makes a difference and provides additional value in terms of promoting democracy and justice on a social level as well as well-being on the level of individual (particularly young) individuals. This is an informative and engaging text that will appeal particularly to those who are already familiar with the Capability Approach and wish to learn more about empirical applications.